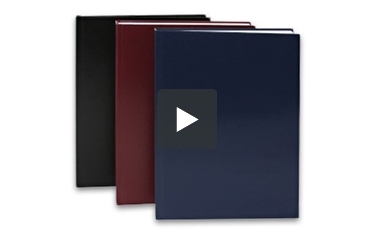 Create your own hardcover book in less than a minute with these Fastback Maroon Suede 8.5" x 11" Landscape Hard Covers with Window - A. With a spine thickness measuring 1/4", these maroon suede covers have an elegant leather feel that will add sophistication to any book. Get 25 covers per order. Product number HJSMA-LL. In addition to Size A Suede hard covers, Fastback offers a Hardcover Guide to aid in proper assembly, Foilfast Title Sheets for a unified first impression, and Headbands for that final decorative touch. Check them out today!